Persephone began her yearly visit to visit the world a month or so ago; let’s welcome her back by reading about Joshua Hoffine’s interpretation of this particular story from Greek Mythology (though in the version I learned back in school, Persephone was the daughter of an even more powerful nature goddess. The Robert Kurtzman Mr. Hoffine mentions is no other than one of the founders of KNB EFX – not too shabby! Please note that the ‘featured photo’ used above belongs to Josh Hoffine and Horror Boom has no copyright claim on anything to do with it, except for using it to get you to hopefully interest you in reading the story behind it. All images are, of course, © Joshua Hoffine. This is the third and final photograph from my new project titled PERSEPHONE. 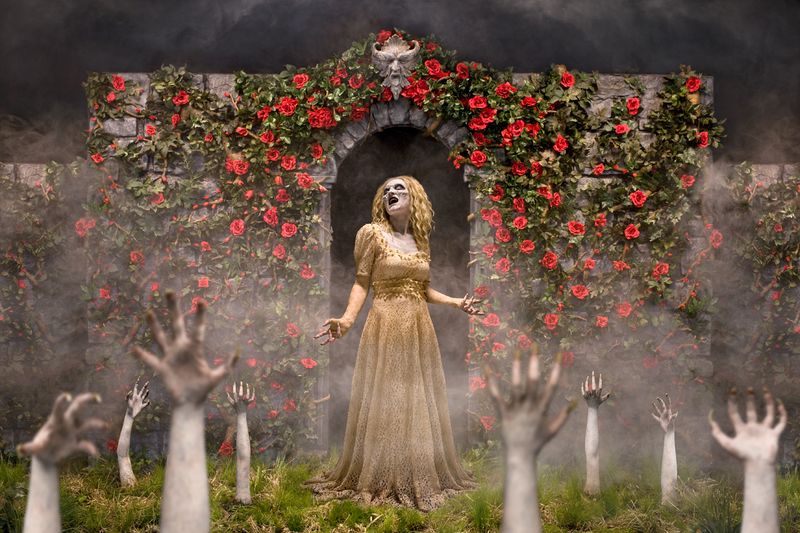 In Greek mythology, Persephone was a nature goddess who became Queen of the Underworld after being abducted by Hades. When she is in the Underworld we experience winter. And when she visits the world she brings with her spring, flowers, and the resurrection of life. As both a Goddess of Spring, and the Queen of the Underworld – she exemplifies the tension between life and death. 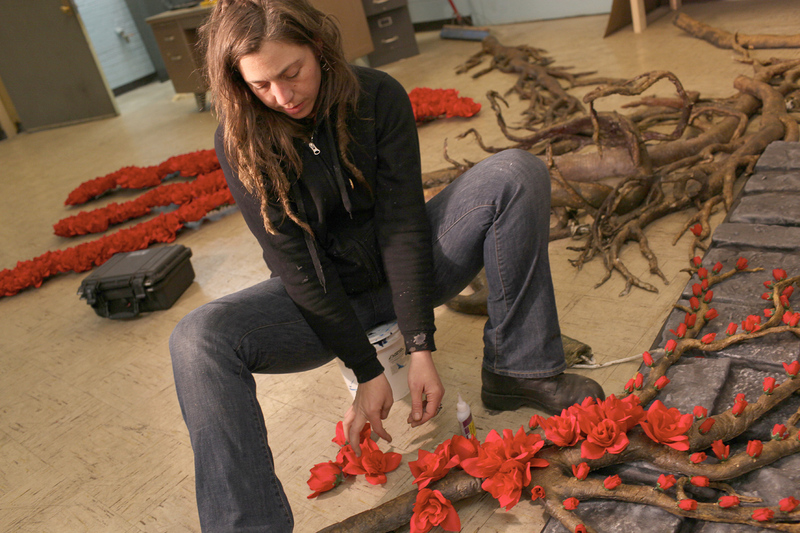 Rebekah Whitt played the part of Persephone, and her SPFX Make-up was done by Shawn Shelton with Bandersnatch Studios. 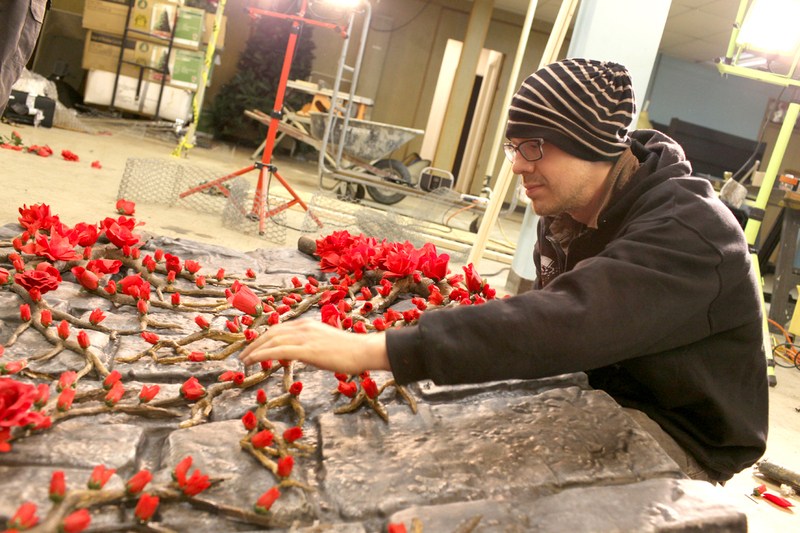 David Greathouse helped with set construction. 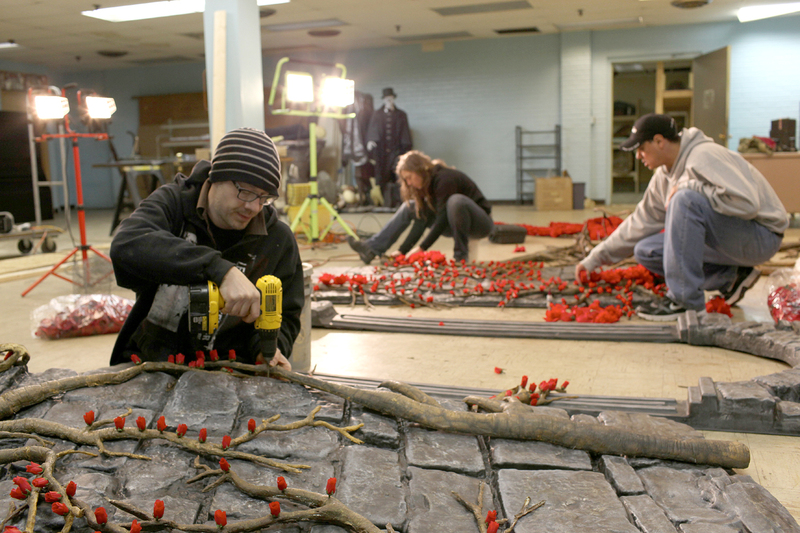 The walls and archway of the set were made from plastic VacuForm panels that we painted to look like stone. 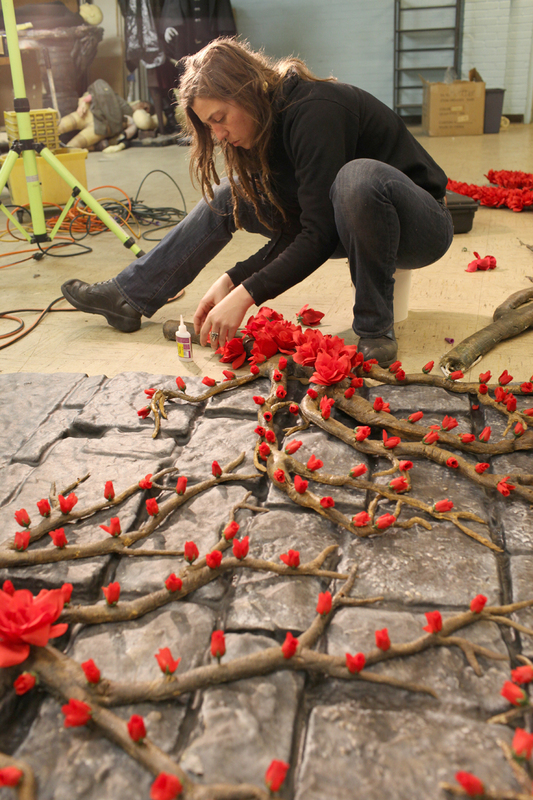 We dressed the set walls with fake foliage and roses, which were meticulously glued to the walls, one flower at a time.